Ola is one of the largest online travel booking site. Whether you are a looking for local ride or for some outstation travel ola a has a wide option available which will also make your journey more comfortable. Get the maximum cashback on your ola ride with the zingoy coupons and promo code. Ola Mumbai Promo Codes : Now get flat Rs.30 Off on Ola Rides booking. Offer is only applicable between 11 Am to 5 Pm. Applicable for select users only. Limited period offer. Ola Amex Card Cashback Offer : Get 10% Cashback* up to a maximum of ₹1,000 per Card during the offer period. The offer is not applicable for Card-on-delivery or Pay-on-delivery transactions. The offer is not valid for Supplementary Cards or Account Cards. Travel between Allahabad and Varanasi at just Rs 1499* with Ola Outstation. Looking for rides between Allahabad and Varanasi? Now choose one-way packages on Ola Outstation and travel as low as Rs 1499* instead of Rs. 1749*. Whether you need one of our plentiful Minis, our best-in-class Prime Sedans, or you’re taking a Prime SUV, we have you covered. Ola Outstation Ride Coupons: Get Rs. 250 Off on your 1st ride. 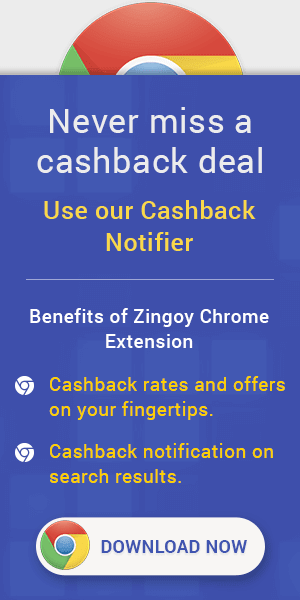 Also, any cashback by Ola will be reflected in your Ola account, while the cashback offered by Zingoy will be reflected in your Zingoy account. Click the ‘Shop & Earn’ button given next to the Ola coupons or offers of your choice. Copy the Ola promo code if any. On the Ola website, choose your ride and book. Paste the coupon code on the payment page. You can also use the ‘Joy of Sharing’ pane on top of this page to create your own Zingoy link for Ola offers or store page and use that link to book your ride and enjoy the cashback offered by Zingoy. You can share this personal Ola Zingoy link with your friends and family and earn cashback on their cab bookings done using your link. Ola Offers on rental: Get the best offers on ola rental and save maximum with ola coupons & promo code. Ola Offers on micro: Grab the opportunity to travel a short distance with ola micro and earn cashback through Zingoy. Ola Offers on the share: Save your pocket and travel at less price by sharing the ola collab use exclusive ola coupons on Zingoy to save more. Ola outstation cashback offers: Get Ola offers of flat Rs 250 off on Ola outstation with extra cashback using Ola coupons through Zingoy. Ola cashback offers on Ola rides: Get Ola offers of Rs 50 on first 3 rides and save more by using Ola coupons through Zingoy. Ola cashback offers on prime rides: Become an Ola select member and get the best Ola offers on your prime rides. This Ola offers is only applicable to Bangalore customers.